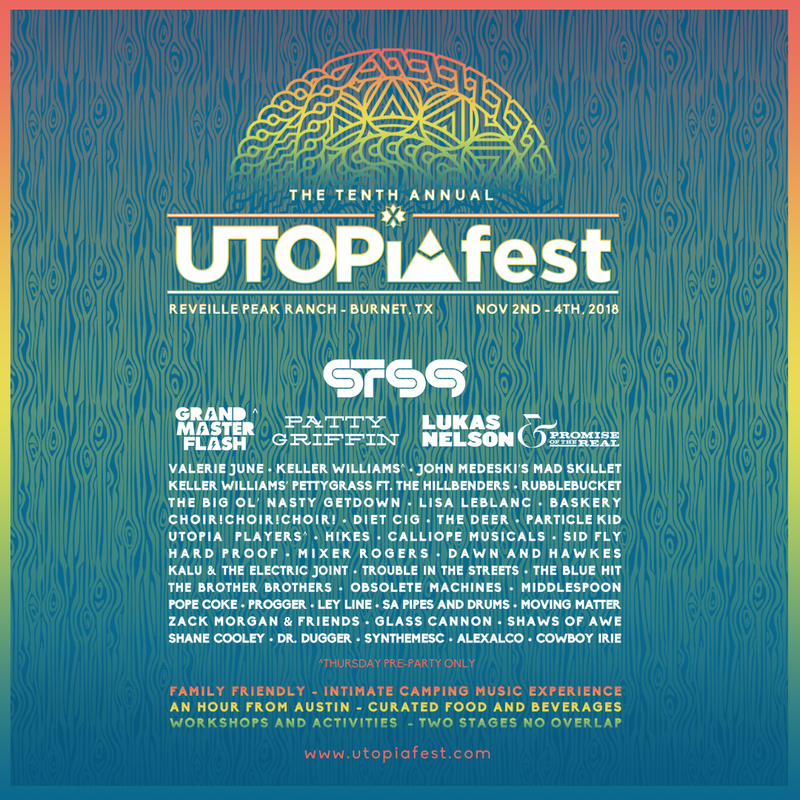 UTOPiAfest, the premiere camping music experience of Texas, announces its Tenth Anniversary Celebration, Nov 2-4, 2018, in its new home outside of Burnet, TX, just an hour outside of Austin. UTOPiAfest is committed to honoring the past while introducing some exciting additions to the UTOPiAn experience. This is a FunkyBatz favorite festival featuring music, camping, workshops, and activities in a Family and Party Friendly setting. Go to utopiafest.com for tickets and information. Check out this incredible line-up!